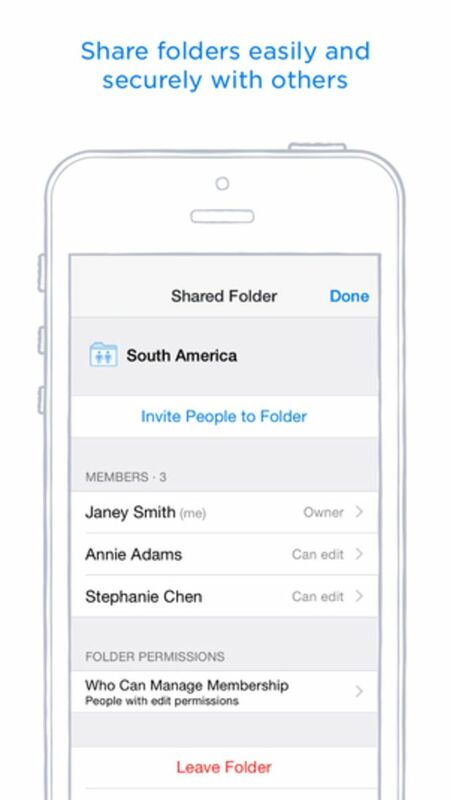 Dropbox is an easy way to sync files between your iPhone, iPad, and computer, allowing you to share and access your files remotely. If you haven't used the desktop version before, Dropbox adds a special folder to your computer which uploads and syncs any files you put in it with your account in the cloud. 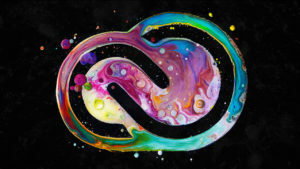 You can then access the synced files from any other computer or device that you are logged in on. 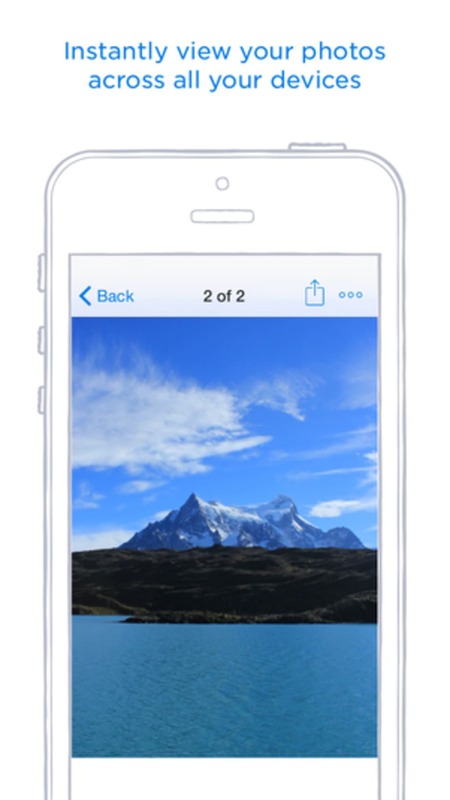 This iOS version provides a convenient interface with your Dropbox account, allowing you to easily upload and share files, pictures, and videos between your phone and computer. 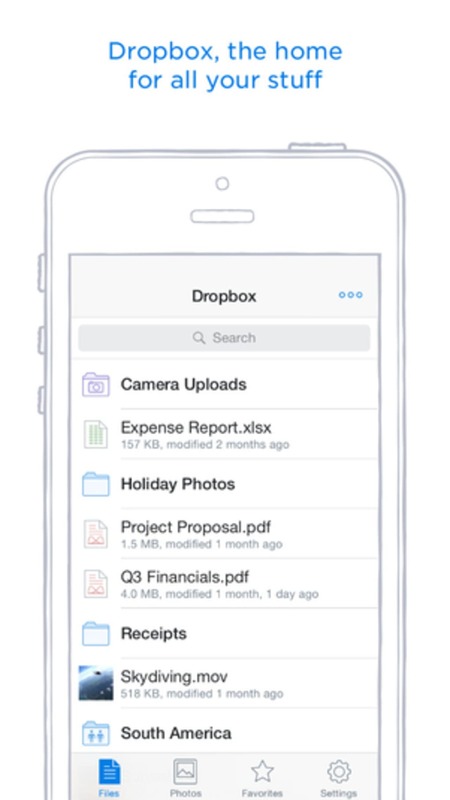 Dropbox's design is clean and functional. There is nothing fancy about it at all, which is its huge strength. It's immediately obvious how to use the app and it is very user friendly. And if you're still struggling, there are plenty of PDFs included in the app to walk you through its functions. Dropbox features a public folder, too. This is designed for files you want to share with friends or co-workers. All you have to do is copy the link created by Dropbox and send it to the people you want to share with. 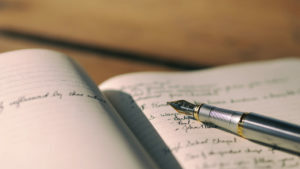 Once they click on the link they will be delivered to your public folder and all the files you have deposited within. It's a really simple, smooth, and well thought-out system. The iOS version also allows you to swipe over a folder to bring up a selection of options (such as rename and delete) to more easily manage your files. The free account is limited to 2GB of online storage, but that's still a lot for most casual users. 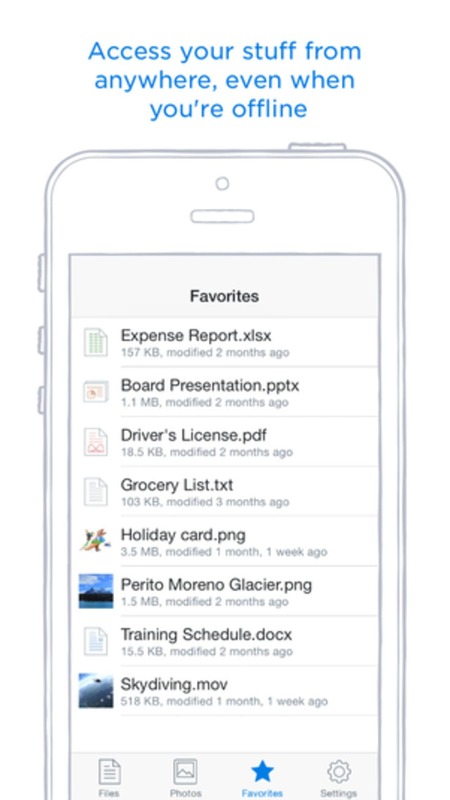 For keeping online file backups, sharing, and just basic access to essential files on your computer, Dropbox for iPhone is absolutely fantastic.